The 2016 Stagg Bowl is nearly here. Two teams remain after an exciting 2016 Division 3 Football Playoff. For the first time since 2004, neither Mount Union nor Wisconsin-Whitewater will be playing in the Stagg Bowl. That game was won by Linfield 28-21 over Mary Hardin-Baylor, a team that will appear in this year’s edition. 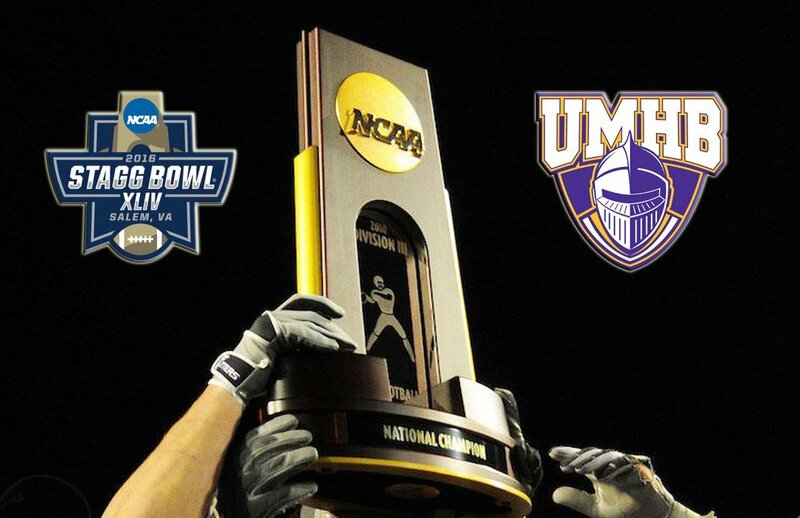 The University of Wisconsin-Oshkosh will meet Mary Hardin-Baylor to decide this year’s Division 3 National Championship. This game will take place from Salem Stadium in Salem, Virginia on Friday, December 16. The game can be seen on ESPNU starting at 7 PM Eastern Time. Through four rounds, our predictions have gone 22-8. Below are the links to our predictions for the previous rounds along with the record for that round. Below is the 2016 Division 3 National Championship Game preview and we will also provide a prediction for this matchup. Wisconsin-Oshkosh went 9-1 in the regular season with their lone blemish being a 17-14 loss at Wisconsin-Whitewater. Their rushing attack led them to easy wins in the first two rounds (371 yards per game) over Washington University and St. John’s (MN). The passing attack led the team in the Quarterfinal against St. Thomas (MN) with 237 yards while the defense forced 8 turnovers. Surprisingly, they only won by a field goal 34-31. The Semifinal game versus John Carroll was a defensive slugfest. The Titans gained just 214 yards of offense with 133 coming on the ground. 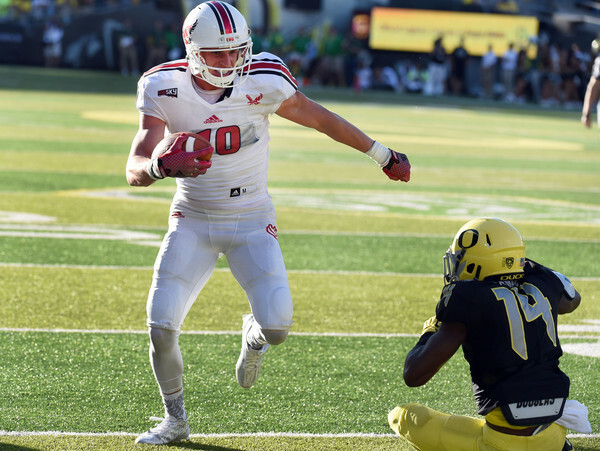 A Brett Kasper bootleg was the lone touchdown, and the difference, in the game. All 13 points from both teams came in the second half and the Oshkosh defense forced three interceptions out of Anthony Moeglin. The Titans have a potent run-first offense. They average 454.3 yards per game with 263.9 yards on the ground and 190.4 yards through the air. They have averaged 38.3 points per game this season. Brett Kasper is not an overwhelming presence throwing the ball, but he is effective. He has thrown 2,404 yards (60.5%) with 19 touchdowns and 6 interceptions. In the Playoffs, he has thrown for 607 yards (55.4%) with 6 touchdowns against just 1 interception and 5 sacks taken. It may be up to his arm if the Titans are to win this game. The Titans will be using the running back duo of Dylan Hecker and Devon Linzenmeyer for their ground assault. Hecker has rushed for 1,113 yards with 16 touchdowns and averages 6.4 yards per carry. 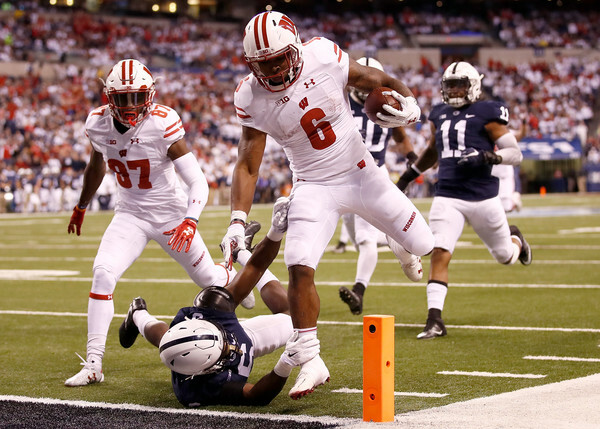 After missing the Washington U. game, Hecker has rushed for 344 yards and 4 touchdowns in the last 3 games. Linzenmeyer has 848 yards and 10 touchdowns with an average of 7.6 yards per carry. He has played in all four Playoff games and has 261 yards and 3 touchdowns. Kasper will have several different receivers to throw to. Dom Todarello has 40 catches for 532 yards and 6 touchdowns, but he may also see some carries. He has 29 rushes for 294 yards on the season. CJ Blackburn has 30 catches for 383 yards and 2 touchdowns while Sam Mentkowski has 23 catches for 424 yards and 4 touchdowns. Mentkowski had a big game against St. Thomas with 7 catches for 184 yards and 3 touchdowns. Could he or another receiver be needed to be the difference in this game? The defense for Oshkosh has allowed 269.1 yards and 12.9 points per game. They allow 160.1 yards passing and 109 yards rushing per contest. The Titans are led by the formidable linebackers Reese Dziedzic, Steve Forner, and Branden Lloyd, who are 1-2-3 in tackles with 87, 61, and 60, respectively. The Titans have 23 sacks this year with Lloyd leading the team at 5.5 and also leads the team in tackles for loss with 11. Forner is second with 8 tackles for loss while Dziedzic has 7, which is third on the team. Mary Hardin-Baylor may not want to throw in the general vicinity of Johnny Eagen. He has 8 interceptions on the year and Cole Yoder is second with 5. The defense overall has forced 40 turnovers (26 picks and 14 fumbles recovered). Turner Geisthardt has an average of 40.2 yards per punt from 49 boots. 16 have landed inside the 20 yard line and only 1 has been blocked. The field goal duties will fall to Eli Wettstein. He has gone 16 of 22 on field goals (73%) with a long of 50 yards while making 62 of 67 extra points (93%). A 10-0 regular season allowed Mary Hardin-Baylor to hold de facto homefield advantage throughout the Playoffs until the National Championship game. They opened with a 50-28 win over pesky Redlands and then shut down Linfield’s offense in a 27-10 victory. Their Quarterfinal game was against Wheaton (IL) and the 38-16 score line does not represent how defensive the game was. It was 10-3 in favor of the Cru at half before a punt blocked recovered for a touchdown and an interception for a touchdown made it a two score lead. A couple of big offensive plays in the final 17 minutes made a 24-16 game look a lot more comfortable than it was. The Semifinal game versus Mount Union was a gritty contest. The Cru led 7-6 at halftime, scored a late third quarter touchdown, and then needed to hold on. They allowed a touchdown to the Purple Raiders, but stopped them on the two point conversion before Ajay Fanene stopped Mount Union on their final offensive possession with an interception on a screen pass. To cap it off, the Cru decided to throw a fake punt pass on fourth and four to ice the game. MHB averages 49.4 points and 483.3 yards per game on offense in a balanced attack. They gain 237 yards per game through the air and 246.3 on the ground. The offense will run through Blake Jackson who can hurt defenses with both his arm and feet. He has thrown for 3,111 yards (66.2%) with 35 touchdowns and 8 interceptions. He also has 785 yards and 10 touchdowns rushing this season. In the Playoffs, Jackson has thrown for 809 yards with 6 touchdowns and 3 interceptions while rushing for 306 yards and 4 touchdowns. Jackson’s backfield partner is Markeith Miller, who has rushed for 1,472 yards with 20 touchdowns and an average of 7.3 yards per rush. Miller has 444 yards and 6 touchdowns in the Playoffs, but was held in check against Mount Union to the tune of 28 yards on 18 carries. The receiving unit has four different options for Jackson. T.J. Josey is the leading receiver with 50 catches for 1,006 yards and 8 touchdowns. He too was held down against Mount Union with only 2 catches for 2 yards. Bryce Wilkerson has 47 grabs for 651 yards and 9 touchdowns, DeNerian Thomas has 42 catches for 362 yard and 4 touchdowns, and Wykeyhe Walker has 38 catches for 501 yards and 7 touchdowns. The defense allows just 14.4 points and 294.1 yards per game. The rush defense is stingy allowing 76.6 yards per game while the pass defense allows 217.4 yards per game. Keith Reineke leads the team in tackles with 112 and Baylor Mullins is not too far behind at 93. Five different players have at last 10 tackles for loss led by Teidrick Smith with 22.5. Smith also leads the team in sacks with 14.5 while Haston Adams and Ajay Fanene both are tied in second with 5.5 sacks. Baylor Mullins leads the team in interceptions with 6 while Raylon Hickey has 4 and four other players have 3 each. The defense has 45 turnovers this year with 32 interceptions and 13 fumbles recovered. Mullins doubles as the punter as well and he has averaged 35.5 yards per punt (48 punts) and has pinned 23 inside the opponent’s 20 yard line. John Mowery is the field goal kicker, but he is shaking making just 8 of 15 with a long of 42 yards. 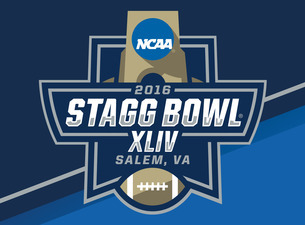 Neither team has ever won the Stagg Bowl and only Mary Hardin-Baylor has previously played in a Stagg Bowl (2004). This year’s edition feels like a very defensive game. Both teams like to run the ball, yet both teams want to stop the run on defense. This game will come down to which team avoids the mistake. A missed open field tackle, a fumble, an interception, or a dropped catch could be the difference. We are going with Wisconsin-Oshkosh in a defensive slugfest 16-13 to win the 2016 NCAA Football Division 3 National Championship. Just 60 minutes remain for the final two teams standing in the 2016 NCAA Division 2 Football Playoffs. North Alabama will meet Northwest Missouri State in the Championship Game on Saturday, December 17. This game will be played at Children’s Mercy Park in Kansas City, Kansas with a kickoff time of 4 PM Eastern and can be seen on ESPN2. Through four rounds, our predictions have gone 20-6. Below are the links to our predictions for the previous rounds along with the record for that round. Below is the 2016 Division 2 National Championship Game preview and we will also provide a prediction for this matchup. After an 8-1 regular season, North Alabama was given the top seed in their Super Regional. Their first game was against UNC Pembroke in the second round and they actually trailed 17-10 midway through the second quarter. They reeled off 31 straight points as Jacob Tucker accounted for 4 touchdowns (2 passing and 2 rushing). They had a much easier game in the Quarterfinals as they shut out North Greenville 38-0 with Tucker registering three more touchdowns (2 passing and 1 rushing). Their semifinal game against Shepherd was impressive. They fell behind 7-0 after Shepherd’s first drive, but responded with the next 17 points. After two late first half field goals, North Alabama held a 20-10 halftime lead. The teams again traded field goals in the second half with North Alabama’s defense holding Shepherd to 105 yards of total offense in the final 30 minutes. The Lions average 38.8 points and 437.8 yards per game on offense. The offense will go through Jacob Tucker who can pass or throw. He has thrown for 2,661 yards (61.1%) with 21 touchdown passes and 10 interceptions. Tucker has also ran for 902 yards and 16 touchdowns. Tucker has accounted for two-thirds of North Alabama’s offense and he will be the focal point for the Northwest Missouri State defense. For all the praise Tucker gets, and he deserves much of it, there are other options on offense. Running backs Damon Cox (517 yards and 8 touchdowns) and Ray Beasley (431 yards and 4 touchdowns) will get some carries. 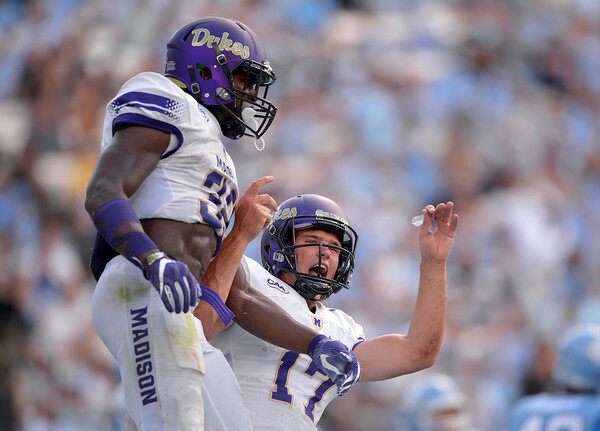 The receiving duo of Dre Hall (75 catches for 1,132 and 9 touchdowns) and Julius Jones ( 44 catches for 686 yards) will be the top two targets for Tucker. UNA has 59 red zone trips on offense converting 49 of those into scores (42 touchdowns and 7 field goals). The Lions’ defense has been very good this season. They allow 13.3 points and 309.9 yards per game (129.3 rushing and 180.7 passing). They have allowed opponents 31 trips inside the red zone and given up 25 scores. The silver lining in that is they have allowed only 11 touchdowns on those 31 red zone opportunities. The defense will need to get penetration with the likes of E.J. Parnell (12 tackles for loss and 5.5 sacks), Sheldon Lewis (8 tackles for loss and 4.5 sacks), and Darius Wright (7 tackles for loss and 2 sacks). If these guys are not getting pressure, then North Alabama will probably not have much of a chance to win this game. In the secondary, Philbert Martial is a ballhawk with 6 picks along with 6 pass breakups. Dorsey Norris and James Rivers both have 3 interceptions while Maurice Carnell leads the team with 12 pass breakups. Jeb Millender averages 37.7 yards per punt (45 on the season) with 16 ending inside the opponent’s 20 yard line. He will need to be in top form for the Lions. Kevin Henke had a solid season going 14 of 17 on field goals with a long of 50 yards. 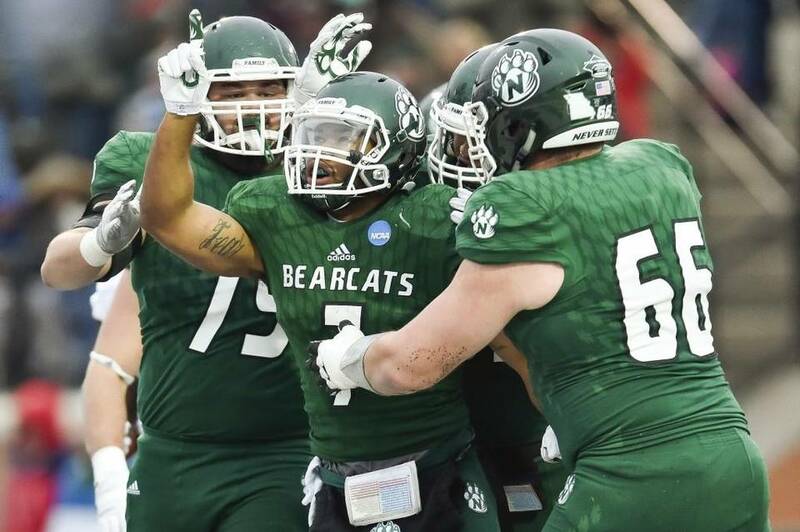 Northwest Missouri State went 11-0 in the regular season and they dominated those 11 games. They won every game by double digits with the “closest” game being a 28-7 win over Fort Hays State. The Bearcats won their second round matchup against Emporia State where they allowed negative 30 yards rushing in a 44-13 win. Their Quarterfinal game was against run heavy Harding when they shut them out 35-0. They allowed 119 yards on the ground and of the six passes thrown by Harding, they picked off 2 of the passes. The Semifinal game versus Ferris State was their toughest test yet. The Bulldogs made things very uneasy the entire game, but never reclaimed a lead after losing a 13-7 advantage midway through the second quarter. Ferris State came into the game averaging 493.3 yards per game, but were held to 284 yards by the Bearcats. Meanwhile, the Bearcats put up 415 yards despite an injury to starting quarterback Kyle Zimmerman. Zimmerman was in a sling during the game and his loss would be devastating. The offense averages 41.4 points and 439.7 yards per game (286.9 passing and 152.8 rushing), but Zimmerman, a first year starters as a senior, has thrown for 3,663 yards (68.9%) with 36 touchdowns and only 3 interceptions. The offense has had 74 red zone trips with 61 touchdowns and 10 field goals. If Zimmerman cannot go, it will be down to Jonathan Baker (139 yards and 1 touchdown versus Ferris State) and Randy Schmidt to quarterback the offense. Schmidt is more of a wildcat type quarterback, which could give the Bearcats some change of pace in the backfield between their quarterbacks. Schmidt went 4 of 5 passing for 26 yards, but also ran for 71 yards and a score on 13 carries against Ferris State. The rushing attack may see an increase in the amount of carries if Zimmerman is out. Along with Schmidt, Phil Jackson (845 yards and 9 touchdowns), and Cameron Wilcox (624 yards and 13 touchdowns) will need to step up to help out Baker. The receivers for the Bearcats are Shawn Bane Jr. (31 catches for 707 yards and 10 touchdowns), Jordan Grove (54 catches for 587 yards and 5 touchdowns), and Dre Washington (42 catches for 582 yards and 4 touchdowns). They will be the options for whoever is behind center. George Sehl (32 catches for 488 yards and 4 touchdowns) was injured against Ferris State as well, which may give players like Shane Williams (35 catches for 420 yards and 5 touchdowns) and Jordan Bishop (23 catches for 271 yards and 2 touchdowns) a chance to see snaps. The Bearcats defense is the strength of this team. They allow 12.7 points and 243.8 yards per game (172.8 passing and 71 rushing). The rush defense allows just 2.1 yards per carry, which will come in handy against a dual-threat quarterback like Jacob Tucker. They have allowed 28 red zone trips all year and have given up 19 scores (14 touchdowns and 5 field goals). The defense is led by linebacker Jacob Vollstedt, who is be a beast. He has 130 tackles, which is 57 more than the second leading tackler (Cass Weitl). Not surprisingly, he leads the team with 24 tackles for loss and has 6 sacks (third most on the team). The sack leader is Collin Bevins at 8 while Weitl is just behind him with 7.5. The front four is menacing, but when you include Vollstedt, this group is imposing for any offense. The secondary saw a loss against Ferris State when starting cornerback Marcus Jones went out. Jack Young leads the team with 6 interceptions while Kevin Berg has four and Jarrod Bishop has three. Anthony Lane has 18 pass breakups with Edward Richey at 11 and Berg at 8. Matt Thorman averages 38.2 yards per punt (55 punts) and has put 16 inside the opponent’s 20 yard line. Simon Mathiesen has converted 18 of his 21 field goal attempts with a long of 48 yards. The Bearcats will feel pretty comfortable with him at anything 40 yards or less if the weather is cold. This game provides us an interesting story line. In 2015, the Bearcats faced a team that had an injury at quarterback coming into the National Championship. The Bearcats easily won that game and have won two of the previous three Division 2 National Championships. 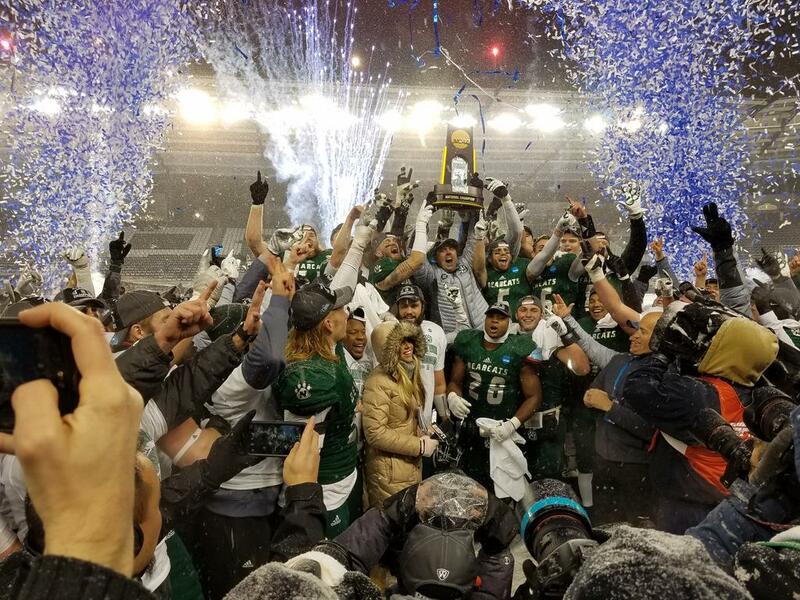 Overall, Northwest Missouri State is 5-4 in National Championship games and all 10 appearances have happened since 1998. As for North Alabama, they have been here before, it has just been a while. They played in, and won, three straight title games between 1993 and 1995. They are 3-1 overall in the National Championship game (lost in 1985 to North Dakota State). This game will come down to Jacob Tucker against the tough Northwest Missouri State defense. He will need to have success with the run, which will not be easy. As of posting, both Kyle Zimmerman and Collin Bevins are questionable for this game. Even if Zimmerman does not play, we like Northwest Missouri State here because the defense will overwhelming. The Bearcats take this game 23-10 to win their third title in the last four years and sixth National Championship in school history. The 2016 NCAA Division 3 Football Playoffs have reached the penultimate week. Four teams remain as they vie for a spot in the Stagg Bowl. Both games will be played on Saturday, December 10 and can be seen on ESPN3. An updated bracket can be found here. We correctly predicted 12 of the 16 first round games and then went 6-2 with our second round predictions. In the quarterfinals, we selected three of the four winners to make our playoff record 21-7. Below are the predictions for the two semifinal games in order of kickoff time. John Carroll opened the playoffs with a straightforward 37-12 over Olivet at home. It was not perfect, but Anthony Moeglin threw for 262 yards with 4 touchdowns and a pick. The second round game was also at home and they needed overtime to dispatch Wesley 20-17. Moeglin’s 14 yard pass to Anthony Leonetti ended the game and put the Blue Streaks in the quarterfinals. John Carroll had to go on the road to face Wisconsin-Whitewater in the quarterfinals and they were impressive. They put up 17 points in the third quarter to take a 24-7 lead they were not close to relinquishing after that spurt. The defense allowed only 228 yards of offense to Whitewater and picked off Cole Wilber twice in the 31-14 win. Wisconsin-Oshkosh started with an easy 49-13 win over Washington University after rushing for 410 yards of offense. The second round was closer as they won 31-14, but they put up big yards on the ground again (332). Their quarterfinal matchup was against St. Thomas (MN) on the road, a team that was the national runner up in 2015. The rushing yardage dropped to 169 yards for the Titans, but they forced 8 (!) turnovers. They intercepted Alex Fenske 5 times and recovered all 3 fumbles they forced (including one by Fenske). It was a surprisingly high scoring games given the stingy defenses, but the Titans won 34-31 with Brett Kasper throwing for 237 yards and 3 touchdowns (no picks). If this matchup seems familiar that is because these two schools met the opening week. That day, it was all Oshkosh as they built a 27-0 lead and cruised to a 33-14 victory. The Titans held John Carroll to 94 yards in the first half and their intensity on defense allowed them to build a sizable lead. Little did many people know (or even think) that game was a preview of a national semifinal later in the year. Will we see a repeat of the week one game? Sure, it is possible, but this John Carroll team is different now. They are full of confidence after defeating both Mount Union and Wisconsin-Whitewater on the road in the span three weeks. And who could blame them? This feels like a defensive, grind it out battle. John Carroll has not allowed more than 230 yards in any of their playoff games (193.7 yards per game average). The offense is not overwhelming, but they are efficient in getting touchdowns in the red zone. They have scored 39 times in the red zone on 52 attempts this year. 36 of those scores went for touchdowns. They will need to convert those opportunities against Oshkosh. Speaking of Oshkosh, they were taken out of their element against St. Thomas, yet still won. They had more passing yards than rushing yards for just the third time this year. The previous two? At Eau-Claire (48-13 win) and John Carroll opening week. The Oshkosh offense has many options on offense: Brett Kasper (2,323 yards with 19 TDs and 6 picks) throwing the ball or a trio of runners in Dylan Hecker (1,039 yards and 16 TDs), Devon Linzenmeyer (806 yards and 10 TDs), and Mitch Gerhartz (455 yards and 3 TDs). John Carroll will have to stop all of them to win. The ultimate question is who wins? The team that is very hot (John Carroll) or the team that has homefield advantage and won the earlier matchup (Wisconsin-Oshkosh)? 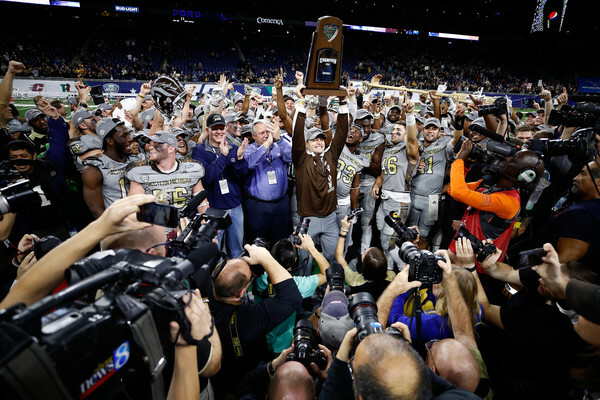 We will go with John Carroll, the hot team, to win 20-17 to make their first Stagg Bowl. Mount Union started the playoffs at Hobart and they had to fend off that pesky foe with the final 17 points of the game. Dom Davis threw for 321 yards with 1 touchdown and no picks in the 38-21 win. The second round game was at Johns Hopkins and the Purple Raiders trailed 21-7 before scoring the final 21 points to win 28-21. Mount Union forced two turnovers and a fourth down stop on Johns Hopkins’ last three drives to seal the victory. The quarterfinal matchup was their third straight road game and the offense exploded. Dom Davis threw for 251 yards and 3 touchdowns along with 108 yards and another score on the ground. Bradley Mitchell rushed for 123 yards and 3 touchdowns on 15 carries in his first 100+ yard game since October 15. There were also defensive (Elijah Berry) and special teams (Brian Groves) touchdowns in the 70-45 route at Alfred. Mary Hardin-Baylor started with 50-28 win over Redlands though they needed a big final 20 minutes to put them away. Blake Jackson had 392 yards of offense and four total touchdowns in the victory. The second round game was a 27-10 win over Linfield in an impressive defensive performance. They intercepted Sam Riddle twice and held him to 236 yards on 26 of 41 passing. They also held the Linfield offense from reaching the end zone as the lone touchdown allowed was a 75 yard punt return. The Crusaders faced Wheaton (IL) in the quarterfinals and they had another strong defensive performance. They had a blocked punt recovered for a touchdown and a 32 yard pick six by Raylon Hickey. They also forced two other picks and held the Thunder to 22 yards rushing on 26 carries. Markeith Miller had 142 yards and 1 touchdown rushing for Mary Hardin-Baylor. This game is all about Mount Union’s rushing attack against Mary Hardin-Baylor’s defense. Mount Union averages 265.7 yards per game on the ground and they averaged 7 yards per carry against Alfred. That was their highest YPC average since their 66-7 demolition of Otterbein (6.6 yards per carry that game). The Cru allow 68.8 yards per game rushing and have only allowed more than 100 yards four times this year. Bradley Mitchell has 1,475 yards and 20 touchdowns this year, but he will have to play his best to help this offense move the ball. If Mount Union is forced to throw, they better be careful because the Cru have intercepted 29 passes this season. Dom Davis has 2,080 yards passing (65.6%) with 21 touchdowns against 6 interceptions. Arguably his worst game was against John Carroll (31-28 loss) when he threw for 247 yards and 3 touchdowns, but had 2 interceptions, completed only 19 of 39 passing, and took 7 sacks. If he has to pass a lot, he will need to be smart by throwing the ball away instead of forcing passes and taking sacks. Mary Hardin-Baylor on offense will be a force to stop, but if any team can do it, it would be Mount Union. Blake Jackson has thrown for 2,952 yards with 34 touchdowns against 7 interceptions. He also has 708 yards and 9 touchdowns rushing while Markeith Miller has run for 1,444 yards and 20 touchdowns. T.J. Josey is the top receiver with 48 catches for 1,004 yards and 8 touchdowns, but Bryce Wilkerson (43 catches for 612 yards and 9 TDs), DeNerian Thomas (42 catches for 362 yards and 4 TDs), and Wykeyhe Walker (32 catches for 436 yards and 6 TDs) will see some passes thrown their way. Mount Union’s defense allows 300.2 yards per game and just 66.8 yards per game on the ground. They have forced just 24 turnovers, however, they have recorded 51 sacks and 7 defensive touchdowns this year. They will need to keep both Jackson and Miller in check if they are to win their fourth straight playoff game on the road. If Mary Hardin-Baylor is to defeat Mount Union, this is the perfect time, right? This is not the strongest Mount Union team and, more importantly, they get Mount Union at home after three straight road playoff games. This is THE time for the Cru to get back to the Stagg Bowl for just the second time in school history (2004). But this is Mount Union. There is a reason they have played in 11 straight Stagg Bowls: they are really good. Every. Single. Year. It is tough to go against the defending champions, but we will. We like Mary Hardin-Baylor to win 31-28 and reach the Stagg Bowl for the first time since 2004. However, we know that going against Mount Union is a dangerous proposition and they could easily make this prediction look foolish. Check back next week for a preview of the 2016 Stagg Bowl. The 2016 NCAA Division 2 Football Playoffs are down to the final four teams. Northwest Missouri State, Shepherd, North Alabama, and Ferris State are the four teams standing. Both games will be played on Saturday, December 10 to determine the National Championship participants and can be seen on ESPN3. An updated bracket can be found here. The NCAA reseeded the teams after the quarterfinals to rank the teams one through four. The two higher seeded teams will play at home for the semifinal round. The rankings are below. After going 10-2 with our first round predictions, we regressed to 5-3 in the second round, however, we went 4-0 in the quarterfinals to give us a record of 19-5 after the first three rounds. Below are the predictions for the two semifinal games in order of when they start. North Alabama has played two games in the Division 2 Playoffs after getting a bye in the first round and they have two big wins. They defeated UNC Pembroke 41-17 in the second round after they pulled away with the final 31 points of the game. Jacob Tucker had 337 total yards and 4 touchdowns in the win. Their quarterfinal game was far easier as they held North Greenville to 181 yards of offense and forced 5 turnovers. Tucker had 296 total yards and 3 touchdowns on offense in the 38-0 win. Shepherd has played three games and the offense has been strong in each one. In the first round, they defeated Assumption 48-31 at home after 317 yards, 4 touchdowns, and 2 interceptions from Jeff Ziemba. In the second round game at LIU Post, Shepherd won 40-21 after keeping the Pioneers at bay for most of the game. Ziemba threw for 375 yards with 4 touchdowns (no picks) while Brandon Hlavach had 177 yards and 2 touchdowns rushing. Shepherd’s quarterfinal game was also on the road and they were close to being run out of the building. They trailed 17-0 less than midway through the first quarter, but responded with 21 straight points. They fell behind again at 30-21, but scored another 20 straight points to win 41-30. Ziemba threw for 200 yards with 3 touchdowns (1 pick) while Hlavach ran for 159 yards and a touchdown. There are no surprises here. North Alabama will be led by Tucker on offense and their defense. Shepherd will be led by Ziemba passing and Hlavach running the ball. Ziemba did take a big hit late in the game so keep an eye on him to see how he plays early on. Shepherd averages 40.6 points and 328.3 passing yards per game while North Alabama allows 13.4 points 186.9 yards passing per game. That will be the matchup to watch. Shepherd’s defense allows 18.6 points and 295.1 yards per game, but those numbers have been higher in the playoffs. The Rams have allowed 27.3 points and 340 yards per game in their three playoff contests. North Alabama should have success with Tucker. This is such an intriguing game. Has North Alabama faced an offense like this since their season opener against FCS Jacksonville State? Can Shepherd get the defensive stops they need to win this game? Remember, Shepherd made the National Championship last year though it did not end very well for them. We like Shepherd, with that playoff experience, to win a close game over North Alabama. The Rams win 34-31 to play in their second straight national championship. Ferris State started the first round at home against Midwestern State. They ran wild with 362 yards and 6 touchdowns on the ground (5 by Trevor Bermingham alone) in their 65-34 win. In the second round, it was Bermingham again leading the way with 392 yards and 2 touchdowns passing along with 3 rushing touchdowns to a 38-17 win. In the quarterfinal, Ferris State defeated rival Grand Valley State on the road 47-32. Once again, Bermingham had a big day with 4 rushing touchdowns. Northwest Missouri State had a bye in the first round and easily won their second round game at home against Emporia State. They allowed negative 30 yards rushing that day in their 44-13 win. Their quarterfinal matchup was against run happy Harding and the Bearcats handled that quite well. Harding came into the game averaging 381.5 yards per game, but the Bearcats held them to 119 yards on 43 carries. Harding attempted only 6 passes all game, completed zero of those, and were picked off twice. Ferris State will easily be the most challenging opponent Northwest Missouri State has faced in the playoffs. The Bulldogs average 493.3 yards per game (263.9 rushing and 229.4 passing) and put up 38.8 points per game. Their lowest output of the season was 410 yards against Findlay (242 yards rushing and 168 yards passing) when they won 20-17. Northwest Missouri State highest total yards allowed were 360 to Northeastern State. The Bearcats easily won 74-29 when they had 662 yards of offense themselves. The Bearcats will be led by Kyle Zimmerman, who has 3,582 yards (69%) with 36 touchdowns and only 3 interceptions through the air. Phil Jackson (800 yards and 8 touchdowns) and Cameron Wilcox (583 yards and 11 touchdowns) will lead the rushing attack. Zimmerman also has 263 yards and 7 touchdowns rushing this year. The Bearcats will focus on stopping the run. They allow 68.2 yards per game on the ground. The Bulldogs average 263.9 yards per game on the ground and have no shortage of options. Quarterback Reggie Bell has 1,156 yards and 16 touchdowns rushing (also 5 fumbles lost), Jahaan Brown has 952 yards and 7 touchdowns, and Bermingham has 405 yards and 18 touchdowns are all a threat. We like Northwest Missouri State to win this game. If they can stop the run, they can feast on the Ferris State passing offense. However, if Ferris State can get the rushing attack going, this game may be close. The Bearcats win this game 31-17 and play for their third national championship in the past four seasons. Check back next week for a preview of the 2016 Division 2 National Championship.